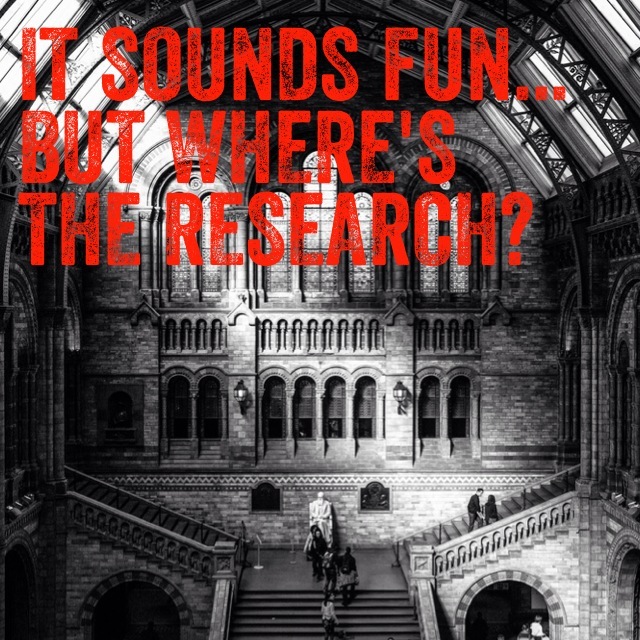 Resourcing the Maker Movement – ResourceLink ventures into the Makerspace! This title is available to BCE staff to borrow through ResourceLink, or to purchase online through Amazon. This is the first of two posts on the Maker Movement – inspired by a recent visit to Brisbane Catholic Education by two educational leaders, Gary Stager and Sylvia Martinez. Their ‘Invent to Learn ‘ day inspired the twenty or so fortunate educators who were participating in their workshop, including myself, to take up the challenge and bring hands on tinkering and making to learning. Gary and Sylvia gave a fantastic overview of why the ‘maker movement’ is such a powerful way to bring learning to life in the classroom, before setting we teachers loose at a range of learning stations, where we could see for ourselves the enjoyment and reward of ‘making’, as well as the clear connections this hands on learning has for Maths, Science, Technology, The Arts, English and more. Inspired by this day, we decided to plan a ‘Maker Faire’ for students at one of our schools, and how we did this and what happened will form the second ‘maker movement’ blog post. This post focuses on some of the many wonderful resources already available for teachers who wish to learn more about how to bring about this learning in their classrooms, and why it is so powerful. The books mentioned in this blog post are all available for sale online, but are also available to borrow from the ResourceLink library for staff of Brisbane Catholic Education. Stager and Martinez provide not only theory and sound arguments for why kids learn better by making – they also provide strategies, advice and resources for teachers who want to bring making into their classrooms. The maker movement is all about hands on – and so the first titles that were added to our library’s collection are ones that inspire exciting, innovative and ‘dangerous’ projects – just the thing for those looking for something to make or do. Unbored is available to BCE staff for loan from ResourceLink and available for sale online. With Chapters devoted to you, home, society and adventure there are over 350 different activities, games, challenges, story excerpts, comics and more to keep kids and adults entertained for months. Visit unbored.net for a sample of activities and ideas from each of the book’s chapters, which are complete with exhaustive resource lists with further reading and websites. 50 Dangerous Things is available for loan to BCE staff through ResourceLink, and available to purchase online. Another terrific title we have added to our collection is 50 Dangerous Things (you should let your children do) by Gever Tulley and Julie Spiegler. Tulley is best known for his school, Brightworks which is a non-profit private school, currently catering for 30 students. The students learn through a hands-on pedagogical approach where students investigate their own ‘arcs’ – projects of their choosing which have three different phases: exploration, expression, and exposition. In 50 Dangerous Things, Tulley and Spiegler give explicit instructions (with note paper provided to jot down observations, improvements and new ideas) for 50 wild and crazy things – things that some kids have never even considered trying. These projects range from mastering the perfect somersault to constructing your own flying machine, and reflect the truly sheltered nature of some childhoods compared to those of 20 or 30 years ago. While some projects are challenging and do require adult supervision (such as changing a tyre or experimenting with fire), others, such as climbing a tree or walk home from school encourage kids to take back the childhood experiences many adults took for granted. This is available to for BCE staff to borrow from ResourceLink or to buy online. For indoor making adventures, we purchased Super Scratch Programming Adventure! – a colourful, graphic based book which gives students step by step instructions for creating different games using the free to download Scratch program, which will run on most basic computers and enables kids to experiment with graphical programming. Scratch was developed and is maintained by the MIT Media Lab, and is a simple tool allows kids to program their own interactive stories, games, and animations — and share these creations if they so choose with others in the Scratch online community. This video is a great way to learn more about Scratch. The Super Scratch Programming adventure gives kids a starting point for making different games – and once they have begun coding in Scratch, they are free to iterate, improve and develop the games in complexity and quality. It’s the hands-on ‘getting inside’ of the computer game that empowers kids to explore and take an active role rather than passively consuming pre-created games; it also gives kids a huge kick when others play or interact with one of their own creations! Each of these hands on ideas books are open exciting avenues for teachers – but will your principal let you take this path? Thankfully, ResourceLink has also added to its collection books that give you the theory and the research that shows that operating in the makerspace is a credible and worthwhile investment. 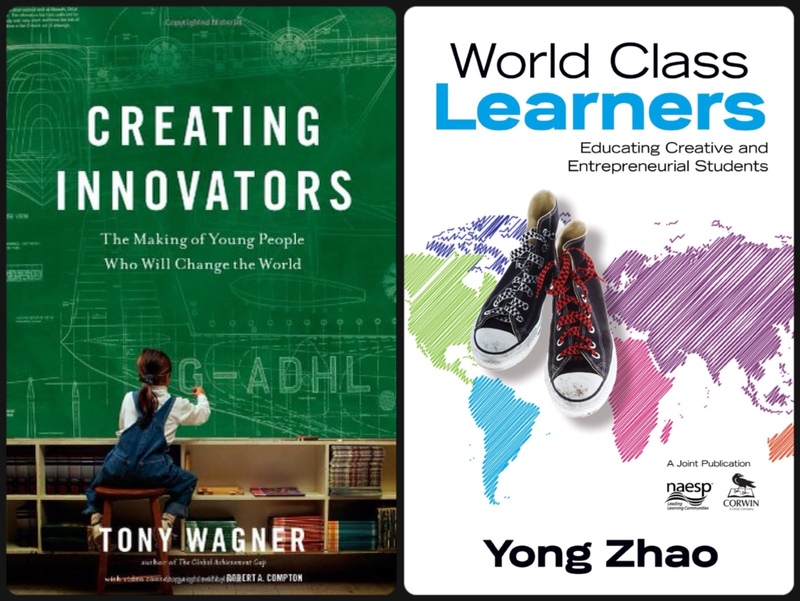 Two of these books available for loan to BCE staff (and available for sale online) are World Class Learners by Yong Zhao and Creating Innovators by Tony Wagner. Both of these titles are available to BCE staff to loan or to purchase online. …existing evidence suggests at least that tightly controlled standardised curriculum, a uniformly executed teaching approach, narrowly prescribed and carefully planned learning activities, and rigorously watched and frequently administered high-stakes testing do not produce creative and entrepreneurial talents, although they may lead to higher test scores. Zhao, p17. Zhao concludes that students who have autonomy to follow their interests and passions, who are given the opportunity to produce and create and who are not limited to working solely within the limits of the classroom will have a greater chance of developing the skills and qualities required by a 21st century workforce. In Creating Innovators, Wagner echoes these findings, identifying schools, colleges and workplaces where cultures of innovation are nurtured through collaboration, interdisciplinary problem-solving and intrinsic motivation. Below is just one of the 60 videos created to support the text. The maker movement is innovative, exciting and has so much potential for learners – stay tuned for our next post about how we bring it to life in one of our schools. This entry was posted in 21st Century Literacies and Skills, Education, Resources and tagged 21st century learning, contemporary pedagogy, hands on learning, innovation, inventing, maker, maker faires, maker movement, problem solving, teaching and learning, tinkering by ResourceLink Brisbane Catholic Education. Bookmark the permalink. Some great resources and thoughts here. Hope someone will blog the school-based maker-faire. I definitely will be blogging about the Faire Steve, stay tuned!! Glad you liked the post. Hi Kay, thanks for a great post, and for purchasing these excellent resources on behalf of ResourceLink. I’ve also prepared a post on the Invent to Learn workshop (for Uni) and would love to link to your post (assuming you won’t mind!?). Looking forward to the next instalment!